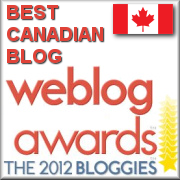 A shout out for Bob Tisdale’s blog here. Bob cross-posts at Anthony’s from time to time. At his own blog, he’s done a number of excellent analyses of SST data sets. On many occasions, I’ve observed that critical analysis of the temperature record has spent a disproportionate amount of attention on land data sets relative to SST. While the issues there are not necessarily resolved, they are well-known. Over the past few years, many readers, including myself, have built up some familiarity with the alphabet soup of land data. Many of us, like connoisseurs of fine wine, can distinguish between GHCN, CRU, NOAA, GISS and the various vintages of USHCN. However, speaking for myself, I’m a bit at sea, so to speak, in my connoisseurship of SST data. The differences between SST data sets was recently discussed at Anthony’s and, curiously enough, it also plays a role in Santer et al 2008, which made a curious switch in SST versions from prior articles – a switch that has thus far gone unnoticed and which affects results. I’ll return to this on another occasion. After Anthony raised a question of a recent divergence between GISS and NOAA/NCDC temperatures, Bob T, pitched in with a careful explanation of differences between the SST data sets used in the different major global indices. Following are quotes from Bob T. In following the nomenclature for data sets, keep in mind that NOAA originates a few different SST versions, with GISS using one version and NOAA (for its own temperature index) using another. GISS has used the NCDC OI.v2 SST anomaly data since December 1981, and before that they had used the Hadley Centre’s HADSST data. GISS then splices the two datasets together…. The OI.vs SST anomaly is attributed by Bob T to Smith and Reynolds 2002. NCDC has their own SST anomaly dataset for their global surface temperature product, and they calculate anomalies against the base years of 1901 to 2000. Linked to the webpage is a paper by Smith et al (2005) “New surface temperature analyses for climate monitoring” GEOPHYSICAL RESEARCH LETTERS, VOL. 32, L14712, doi:10.1029/2005GL023402, 2005. It appears, from that quote and the rest of the paper, the SR05 SST dataset does NOT use satellite data. This is consistent with NCDC’s other long-term SST datasets. They also abstain from satellite data. I have found no source of SR05 SST anomaly data, other than the Global, Northern Hemisphere, and Southern Hemisphere “Ocean Temperature” datasets linked to the Global Surface Temperature webpage. In addition to the SR05 SST data, the NCDC also has two other long-term SST datasets called Extended Reconstructed SST (ERSST) data. The ERSST.v2 (Version 2) data was introduced in 2004 with the Smith and Reynolds (2004) paper Improved Extended Reconstruction of SST (1854-1997), Journal of Climate, 17, 2466-2477. Many of my early Smith and Reynolds SST Posts used ERSST.v2 data through the NOAA NOMADS system. Unfortunately, ERSST.v2 data is no longer available through that NOAA system, so the latest ERSST.v2 global SST anomaly data from NOMADS I have on file runs through October 2008. The ERSST.v2 data was updated with ERSST.v3 data. In my opinion, it provides the most detailed analysis of high latitude SST in the Southern Hemisphere (the Southern Ocean). The ERSST.v3 data was introduced last year with the Smith et al (2008) paper: Improvements to NOAA’s Historical Merged Land-Ocean Surface Temperature Analysis (1880-2006), Journal of Climate,21, 2283-2296. The NCDC updated it with their ERSST.v3b version later in 2008, but more on that later. A limited number of datasets (based on latitude) for the ERSST.v3b data are available from NCDC (though it is available on a user-selected coordinate basis through the KNMI Climate Explorer website, as is ERSST.v2 data). From Bob’s comments, I get the impression that ERSST v3 is not used in the three major GLB temperature reports (CRU, GISS, NOAA) and will seek confirmation of this. I haven’t checked Bob’s posts for HadCRU yet, but I presume that they use HadSST – a newish HadISST version is now in circulation, which I glanced at recently but haven’t studied. I was going to do this in another post, but I’ll mention the point here to perhaps motivate readers to ponder the difference between these data sets. In the CCSP report that prompted Douglass et al 2007 (and thus Santer et al 2008), the surface observations used as comparanda were CRU, NOAA and GISS. These data sets were also used in Douglass et al. The three SST datasets are more appropriate to analyse in order to determine whether observed lower tropospheric temperature changes follow a moist adiabatic lapse rate (Wentz and Schabel, 2000). Here the “new T_SST” data set appears to be the ERSST data – which seems to have had a somewhat complicated recent history. It looks like earlier ERSST versions used satellite data in their construction, while the most recent version has got rid of the “satellite bias” by discontinuing use of the satellite data. Whatever the merits of the ERSST data, it’s hard to see that the comparison of satellite data to ERSST, interesting as it may be, is particularly relevant to the issue of whether there is a statistically significant difference between satellites and the “big” indices (GISS, CRU, NOAA) if it isn’t actually used in the “big” indices. Again, I provide a caveat that my own personal handling of these SST data sets is very limited and I thus have limited connoiseurship of them at this time. This entry was written by Stephen McIntyre, posted on May 19, 2009 at 8:06 AM, filed under General, SST and tagged SST. Bookmark the permalink. Follow any comments here with the RSS feed for this post. Both comments and trackbacks are currently closed. What are we actually talking about when we say SST Anomaly? Are we actually talking about air temperature at the surface? Or are we talking about water temperature at the surface? And this is not to be confused with OHC (ocean heat content)? Am I correct? Re: Aaron Wells (#2), It is water temperature at the surface. Ocean heat content is with depth and takes into account salinity. ERSST.v3b data is available elsewhere on a user-input global coordinate basis. Always helpful Geert Jan van Odenborgh of KNMI has recently added it to the list of datasets on Climate Explorer. I guess what I’ve downloaded is ERSST v3b. I made a script to download the *.nc file and to make a TRP average. I now see that a zonal TRP is available. I’d be interested a copy of the disappeared version ERSST v3 if you can temporarily place it online somewhere. BTW I notice that I have an ERSST version from OCt 2006 on my computer if you’re interested in that. I could upload it temporarily if you want to copy it. I was also under the impression that ERSST.v2 had been discontinued. I’m sure I had read that somewhere, but I can’t find the source. Add to that, ERSST.v2 hasn’t been available through NOAA’s NOMADS system since January of 2009. But (there’s always a but), ERSST.v2 has been updated through April 2009 at KNMI, and the ERSST.v3 webpage states that both ERSST.v2 and ERSST.v3 (actually ERSST.v3b) will be updated. Note that V3b is now the official version. V2 will no longer be updated. It will still be available in our subdirtectory /Datasets/noaa.ersst/V2/’. Uncertainties in the accuracy of observed sea surface temperature (SST) estimates limit a number of efforts relevant to seasonal-to-interannual climate variability and its prediction. Some of the efforts that may be hampered by uncertain SSTs include estimates of skill in predicted SSTs, attribution studies of seasonal climate anomalies, and calibration of probabilistic seasonal climate forecast systems. This study examines the explicit impact of SST uncertainties on the climate response from an atmospheric general circulation model. Uncertainties in Western Pacific SSTs play a substantial role in the sensitivity of the seasonal climate. Also, just how close to the surface is SST supposed to measure? I have next to several bodies of water in my life including both the tropical Pacific and now 56N and have witnessed temp variation on very short vertical distances. How can any sort of bucket measurment gather a sample without mixing surface water with what is just below? SST is supposed to represent the surface temperature literally, and that’s what microwave sensors are picking up. Unless the water is quite still, there is almost always a well-mixed layer which extends tens of meters down and which has a very uniform temperature (less than 0.5 deg C variation in this layer). So in most cases, mixing the surface water slightly with your scientific bucket won’t be a problem. On the other hand, a ship’s cooling intake might not be the best way of taking a temperature sample. You could take top soil temperatures if you like, but that wouldn’t be nearly as uniform a method as taking the sea surface measurements (since the ocean mixed layer is somewhat consistent in its behavior with regards to heat, while topsoil isn’t particularly). http://jisao.washington.edu/data/ersst/#data has a 2007 vintage of ersst v3. Many of us, like connoisseurs of fine wine, can distinguish between GHCN, CRU, NOAA, GISS and the various vintages of USHCN. They all seem like vinegar to me. I have ersstv3 through April 2008. The files are the actual temperatures and not anomaly data. I might be able to put the files on the web at google pages, but I’m not sure how much space I have left there. If you want them I’ll see if that will work out. At about 2.5 meg per decade I don’t think I could email them other than individually to avoid mailbox overload. I could always do that over a period of days as a last resort. Bob, you can register at my site and upload the data there in the Repository. Just let me know there if you need assistance. Re: Jeff Alberts (#12), thanks for the offer. Otherwise there isn’t much point in using using up your storage and my time to upload it. Temperature proxy records are briefly described from about 70 locations. Harfly a hockey stick in sight. Concerning SST do you think this may be worth investigating? One day difference NOAA 18th May, UNISYS 19th May, 2009. Notice the difference around Europe, Asia, Japan, Black Sea etc. In all cases much higher SST with NOAA. Divergence is blatantly obvious, don’t you think? Are they using the same satellite? or argo buoys?, Maybe depth measurement difference? I dare predict that connoiseurship of SST data sets will not prove to be a gourmet experience. Comment #42 at CA’s 5/15 post on IPPC’s Figure 9.5 touches only briefly on the the problems inherent in the original Surface Marine Observations. The rest of the story is a matter of “green” wine sold in old bottles. I’m going to have to apologize for this one. Ryan O has managed to repair the Steig reconstruction and has gotten RegEM to produce proper temperature distributions through the antarctic. I get all wound up when I see things like this. To my way of thinking it pretty well wrecks the original paper while fixing the methods. If at sea the near surface water temperatures are being measured, shouldn’t we also measure the top soil temperatures on land? Now that we are at it, is there a record of global air temperatures (let’s say at 2 meters) above the water surface? I wrote a post on the global and hemispheric NMAT dataset a few months ago. Bob, my recollection is that the NMAT data has some adjustments (of the same vintage as the Folland bucket adjustments) – something that I noticed when I went through the vintage SST adjustment literature. In your post, you’ve taken the data in its current form but the next job is to peeled back the adjustments and see exactly what they’ve done. It’s necessary to go back a long way to ascertain exactly what’s in the data. I recollect peeling a few layers off the onion, but there’s more to be done. Can someone tell me Bob Tisdale’s credentials? He is widely quoted, but I know very little about him. Tisdale moved to wordpress on tuesday.